Our philosophy is to capture the moment of your special event using the highest quality digital photography and/or videography equipment, plus providing a creative and unique dance choreography at competitive rates. “We want to preserve the mood and emotion of the day for our clients, so they can look back remember this experience for the rest of their lives. ”When you hire Quinceanera Productions to facilitate your quinceanera, you are hiring more than just someone to record & choreograph your special day. You are hiring a company to set the mood and emotion of your quinceanera. We are the artists. We are the professionals. 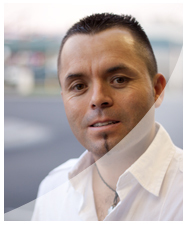 Fraser Almeida is the owner of Koncept Kreations & Partner at Quinceanera Productions. His journey began since 2000 Fraser started Koncept Kreations, an advertising company specializing in web design, graphics & print. Fraser quickly grew attention to himself as a profound graphic designer and videographer, even more well known as a web designer. Soon after word spread of the work coming from Koncept Kreations, it outgrew its local market barriers. Realizing that Fraser’s talents were the answer to visual presence. Since its inception Koncept Kreations has spread across the nation. Fraser personally reviews and critiques every project designed to retain its high level of standards. To this day Fraser’s dedication to quality & service of his work is what makes new & existing clients asking for more. Driven with creativity and always pushing the limits, Fraser’s skill is the key to success. Fraser holds an Associate’s degree in graphic design, visual communication & animation from Collins College. Gustavo Rico has been dancing for over 12 years here in Las Vegas. He has been teaching salsa, mambo, cumbia merengue and bachata to hundreds of people. 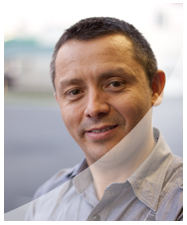 Gustavo's personality and teaching skill provide quick results for any type of student. His program makes it easy and fun to learn how to dance. Tony Rico have been teaching salsa, mambo, cumbia, merengue and bachata for over 12 years here in Las Vegas. He has taught hundreds of people how to dance some of those people have become professional dancers. Tony's personality and Charisma will make you feel right at home. 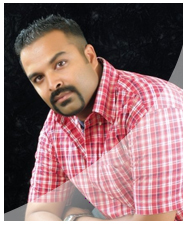 His teaching program is perfect for people who has never dance before as well as for experience dancers.